Communication is vital in our globalized society today. It’s easy to understand why the translation industry is so fundamental in our ever more connected world. From crucial medical and pharmaceutical translations to day to day running of businesses and even for casual tourists looking for new locales to explore. Efficient and effective translation has never been in greater demand.As this industry has experienced exponential growth throughout both the 20th and 21st centuries, continued innovation been necessary to further the ability of translators to not only keep up with increasing demand but also find more efficient ways to translate vast quantities of content. It was in the 1950s that the mainstream focus shifted towards the development of Machine Translation, and while there have been many stops and starts along the way, today we have the immeasurable benefit of CAT (Computer Assisted Translation) tools that have revolutionized how translations are undertaken across the globe. 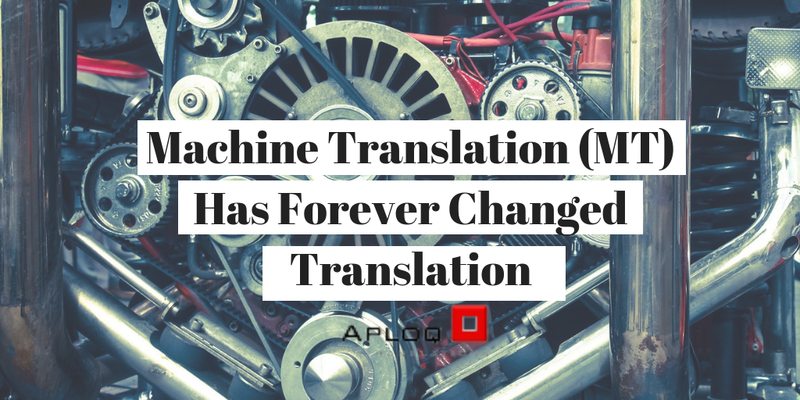 Technology today is continuing to advance at a phenomenal rate, and machine translation technologies are no different. MT is incorporating what we call CAT tools; this is any computer-assisted translation used by linguists across the world every to help them produce quality translations much more quickly than would otherwise be possible. The sheer scope of the materials that require translation from day to day is just too much for human translators to handle. There are just not enough linguists to cope with our insatiable appetite for the fast availability of multilingual communication; with over 6,000 languages worldwide, it’s clear why CAT tools have become invaluable to the translation industry. A delicate balance must be struck between maintaining the integrity of the vocabulary while also properly translating the intended meaning from source to target language. Before the advent of computer-aided translation systems, this process would be both labor intensive and lengthy, requiring both a vast breadth of knowledge, skill and determination on the part of linguists. Translators were forced to refer to dictionaries for terminologies, which, needless to say, must have been exhausting, as well as, ultimately leading to a higher instance of inconsistencies between translations completed by different linguists, utilizing different dictionaries. CAT tools go beyond basic digitalization of translation dictionaries; there are a wide variety of tools available that offer crucial help to translators and translation teams to allow for the fast and reliable services we have become accustomed to in our fast paced world. Translation memory databases (TMs) and terminology management systems (TMSs) provide a way for previously completed translations to be accessed, stored, created, and referred to time and again for future projects. These mutually complementary MT systems not only save significant time on projects but also help to ensure consistency across translation projects for clients, when it matters most, e.g, brand identity can be retained while marketing material is coherently translated for new markets. Augmented Translation enhances our ability to speak to each other across language barriers in real time. By amalgamating these the technologies, Augmented Translation has the added benefit of being able to match projects with specific translators while improving on the efficiency of its TMs through user feedback. These impressively functional MT tools learn to improve their efficiency, by using a real-time translator feedback loop by remembering translators input and providing it back to the translator until the system achieves the closest possible standard to human translations. Continuous innovation in MT has truly been revolutionary to the way translations are approached today. While they are not anywhere near capable of taking over from human translations, they have offered unrivalled benefits for translators. By handling the time consuming and repetitive tasks, offering a standardized central information bank for teams to work from, as well as, providing quick access to previously completed work, MT greatly increases the productivity of linguists. This allows them to focus on the innately human side of translation; deciphering cultural intricacies, jokes, localising for cultural relevance and producing higher quality translations in less time.